When the worst happens, don’t trust just anyone. 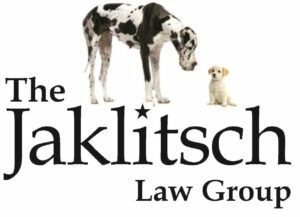 Rely on The Jaklitsch Law Group’s attorneys. After a severe injury or a car accident, we’ll help you win the compensation you deserve so you can heal both financially and physically. Contact us if you need an auto accident attorney in Fort Meade, MD. Our team strives to be tough on opponents but soft on our clients—we know that you’re hurting right now, so we do our best to smooth your way. That’s why we offer free initial consultations and don’t collect any attorney fees unless we win your case. When you choose a car accident attorney from The Jaklitsch Law Group, you’ll get the help you need right away without risk. To get started, call us at (866) 586-6079. We’ll schedule a free consultation with an auto accident lawyer, where we’ll listen to your story and give you our professional opinion on what needs to happen next. Contact us today so you can move forward with your case.